Tax day is just over two weeks away and the Tax Cuts and Jobs Act is now in effect, which means there are new requirements for homeowners. The media covered the changes in much detail in early 2018, and we wanted to share a few housing-related highlights with you as you get ready to file your taxes. Mortgage interest deductions are limited to a combined $750,000 of debt for both primary residences and second homes for any loans taken out after Dec. 14, 2017. Current homeowners with loans made before that date are grandfathered into the previous deduction, allowing a combined debt limit up to $1 million. State and local tax deductions are capped at a combined $10,000 – this includes state and local property, income and sales taxes. Previously, these were fully tax deductible. Capital gains tax exclusions remain the same when you sell your house. Married-joint filers can exclude up to $500,000 and single filers can exclude up to $250,000 when selling their primary home, as long as they’ve lived there two of the past five years. 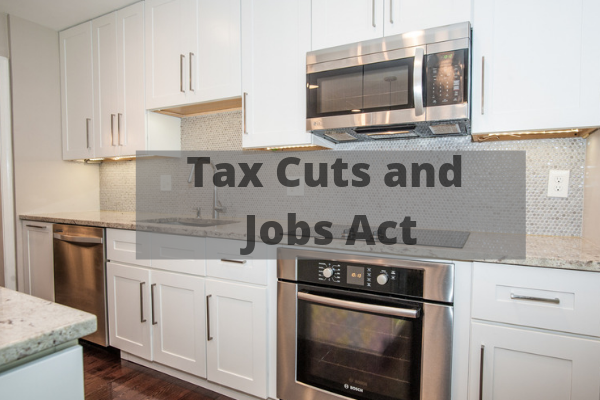 The Tax Cuts and Jobs Act also brings changes to real estate investors, including new pass-through tax deductions and expanded expensing, among other potential benefits. Your tax advisor can provide you with specifics on all of these changes and how they apply to you. As always, if you have any real estate-related questions, please feel free to contact us anytime at 703-822-0207. Are we connected on social media? We’d love to have you join us on Facebook, Instagram or YouTube! Let us know what topics you’d like us to cover.